A couple of denim fabric makers have introduced the latest technology mainly to cater to the growing demands and earn more through value addition, industry people said. Figure 1: Bangladeshi denim manufacturers are installing rope dyeing technology to meet increasing demand as well as value addition. Rope dyeing is one such technology that local denim fabric makers are installing in their units in recent years, they added. Moreover, denim makers are now expanding their capacity to sustain in the long run, grab the growing global demand for fashionable denim wear shifting from China following the trade war between China and the USA. Many of the 32 local denim mills are going for expansion while a couple more will come into operation with fresh investment within the next two or three years, they said. 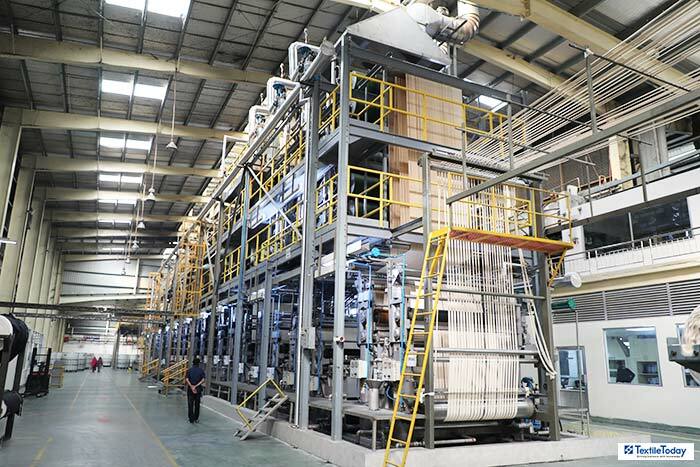 Syeed Ahmed Chowdhury, General Manager Operation at Square Denim, said the company expanded its denim fabric production capacity to 2.5 million yards last year from 1.2 million yards per month mainly to meet the demand. 32 local denim mills are going for expansion while a couple more will come into operation with fresh investment within the next two or three years. Work orders from US buyers are increasing here in the country as they are decreasing their sourcing from China due to the trade war between the two countries, Syeed Ahmed said adding at part of buyers’ shifting orders from China, they are relocating their fabric orders first. “Though orders are on an upward trend, US buyers are offering very ‘tougher’ rate for locally produced items,” Chowdhury noted. India and Pakistan are offering more competitive price than Bangladesh because of their devalued rupees. They have their own raw materials and Bangladesh is facing tough competition with them, he said. There is no alternative to expansion to sustain the existing business and achieve the $50 billion garment export earnings target by 2021, industry people said. Despite all odds, the country will lead denim garment making across the globe as it has already developed a strong washing capacity, they said China, India and Pakistan are major competitors of Bangladesh in terms of fabric manufacturing as they are cotton-producing countries. Due to the growing demand, especially for more value-added products, a few denim fabric makers are now introducing the latest technology including rope dyeing. Rope dyeing is considered to be the best possible indigo dyeing method for yarn as short dyeing time that doesn’t allow indigo to fully penetrate the fibers, thus creating ring-dyed yarn that fades better and faster than fully-dyed yarn. Shade variation is comparatively lower in the rope dyeing process than the most used slashed dyeing, a denim factory official explained. Less water is consumed while chemical use is high, people involved with the process said. Another aspect of the process is it provides a deep indigo look, the unique look that denim lovers are looking for. Though rope dyeing machinery installation cost is higher than slashed dyeing, buyers offer 10 to 15 cent higher price due to its color and quality, they explained. 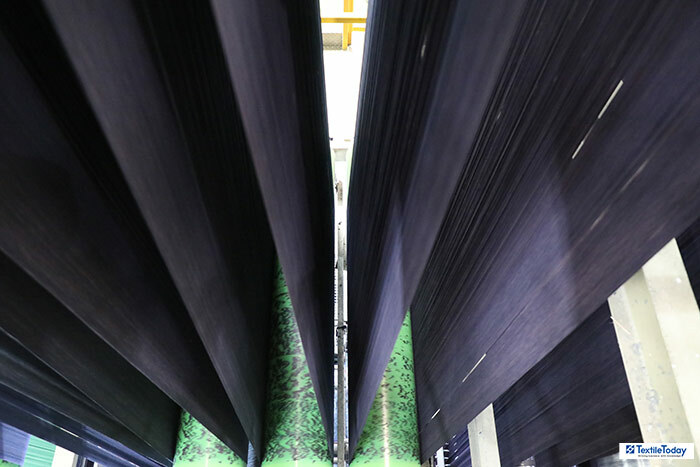 World’s first LEED Platinum Certified Denim Manufacturing facility, Envoy Textiles Limited is a manufacturer of 100 export-oriented high-quality denim fabrics. Figure 2: Another aspect of the process is it provides a deep indigo look, the unique look that denim lovers are looking for. Starting commercial operation in 2007, the company is the very first in Bangladesh to use rope dyeing technology. It is considered as one of the largest denim manufacturing facilities in Bangladesh with a production capacity of 50 million yards per annum. The country is now producing mid-segment of denim products on a small scale following growing demand from upscale customers, he said, adding that due to such demand, one of his units-Envoy Textiles Ltd (ETL)–introduced rope dyeing for the first time in the country. ETL manufactures high-quality fashion denim and is one of the largest denim fabric makers in Bangladesh, he said. “Some big brands demand for rope-dyed denim products and offer 10 to 15 cent more per yard,” he said. Partex Group that also makes denim products has recently introduced rope dyeing along with its existing slashed dyeing process mainly to meet the increasing demands made by some buyers. Local entrepreneurs have the capacity to set up industry and bag work orders as they have technical know-how for production. Some 32 units are involved with denim fabric and product making while the figure was only four to five in 2001. Total investment in the sub-sector stood more than $ 900 million, according to industry people. The sub-sector earns about $ 3.5 billion and plans to increase exports to $ 7.0 billion in the next couple of years, they added. Bangladesh is now the top denim products supplier to the European Union overtaking China, and third largest to the US after China and Mexico, industry people said. Bangladesh supplies denim products to major global buyers and retailers including Levi’s, G-Star Raw, H&M, Tesco, Wrangler, Hugo Boss.